Nearly 4000 Sri Lankan refugees living in camps in the South Indian state of Tamil Nadu have reportedly applied for return to Sri Lanka in the coming months. Political turmoil erupted on Friday as Parliament was suspended and the country’s former Prime Minister reinstated, suggesting the situation on the ground may be volatile. 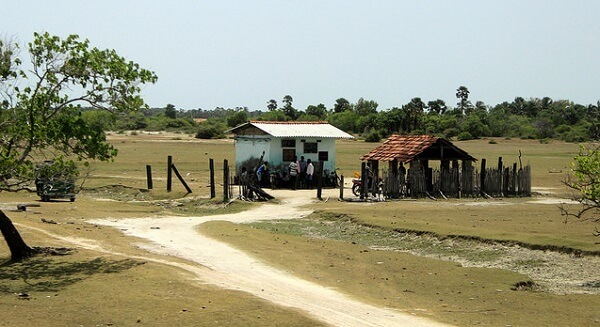 The Organization for Eelam Refugees Rehabilitation has reported that nearly 4000 Sri Lankan refugees have registered to return over the next few months, with each family being promised a cash grant, livelihood assistance, a small plot of land and a home, and help acquiring documentation needed to claim these benefits and establish citizenship. More than 62,000 refugees live in camps in the south Indian state of Tamil Nadu, decades after first fleeing civil war in Sri Lanka. While the war formally ended in May 2009, military occupation and human rights violations is still a legacy affecting refugee’s ability to return. An escalating crisis in Sri Lanka with the country’s President Maithripala Sirisena suspending Parliament and ousted the incumbent Prime Minister Ranil Wickremesinghe, replacing him with the former president Mahinda Rajapaksa further complicates the situation. On Tuesday, thousands of protesters gathered near Wickremesinghe’s residence in the south of the capital, holding signs calling on Sirisena to “protect our democracy”. On Sunday a man was shot and killed, and 2 others injured, as street protests erupted and a politician’s bodyguard allegedly opened fire on demonstrators. Human Rights Watch Asia Director Brad Adams commented “Rajapaksa’s return to high office without any justice for past crimes raises chilling concerns for human rights in Sri Lanka” referring to the use of torture, extrajudicial killings, and enforced disappearances under his rule.